Company. The author may be reached at [email protected]]. regulatory clarity on shareholding pattern in Indian insurance companies. and control behind the resident Indian citizen. equity capital of such Indian insurance company. that is beyond what was actually envisaged. Rule 3 are also met. 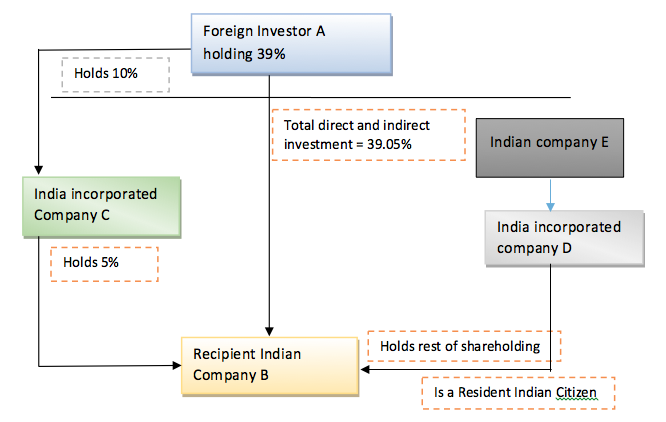 in Rules, 2015, it is clear that FOCCs do not qualify to be Foreign Investor. and controlled by resident Indian citizens. by resident Indian citizens or Indian companies, which are owned and controlled by resident Indian citizens. FEMA Regulations, 2000 as described in these rules. As independently understood, the premise on which the rules have been framed and founded on the latest innovative thinking that ‘equity shareholding’ and ‘controlling interest’ are two distinct , not connected or related, concepts; and are not but mutually unrelated and has to be forcibly divorced. Except that, each empowered authority has chosen to frame its own Rules but differently; and that seems to account for the fact that the rules under reference are mutually conflicting, hence confusing lending no clarity. Is this not nothing but yet another development that juts out and bears testimony to the irreversible perpetuation, and unmindful extension , – that all started in the field of tax regime- of that very same idea,- rather than an obsession haunting/troubling the brains behind since then,- of unduly placing over-emphasis on preference to “SUBSTANCE “ over “ the "FORM”?! Open, as ever before remain, to be enlightened! 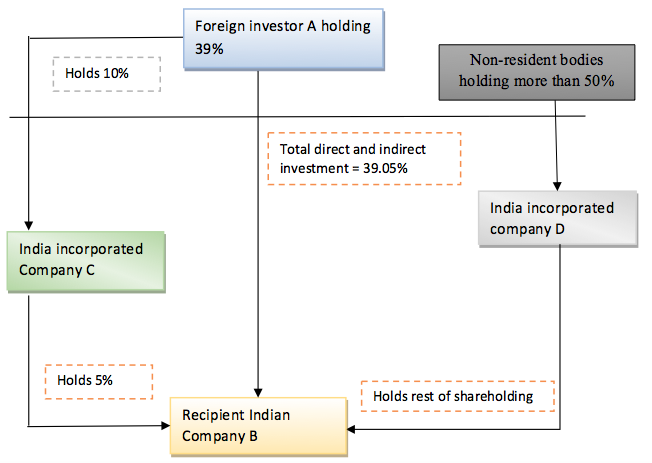 Only in the event that such foreign investor (the same entity investing in Point 1) holds shares in the Indian Party and if the total shareholding of such foreign investor exceeds 51% in the Indian Promoter/Indian Investor will such Indian Promoter/Investor stand in violation of Rule 4 of Indian Insurance Companies (Foreign Investment) Rules, 2015 by not being an IOCC and hence be ineligible to invest in the applicant insurance company. Request the editors to review guest posts. This blog is well reputed and such callous analysis is unworthy of publication herein. The very intent behind giving Exhibit 2 was to show the anamoly of Rule 4. It is further explained in the Table below.Any FOCC is a company in which non-resident entities hold more than 50%.